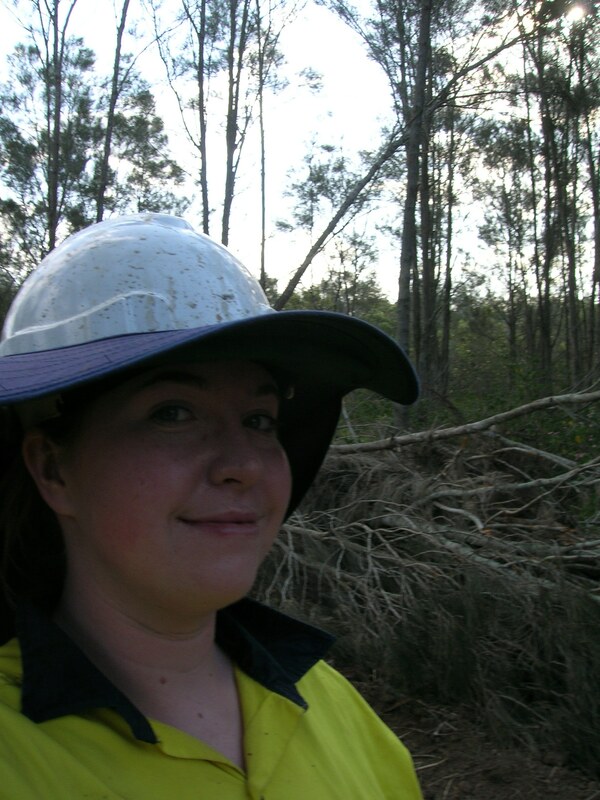 Staying safe while on fieldwork. So new year, new blog, but as fun as geology is – and I hope you agree with me, looking at and for rocks and fossils is great fun! – the first post always has to be about safety. May be a little boring, but if you want to be a rock or fossil hound then the first thing you have to consider is looking after yourself. Can’t get much more protected than that! The main reason for this is that most types of geology are done outside (gasp) near rock faces, cliffs and other unstable lumps of stuff that could fall and hit you on the head. So in order to get this section out of the way quickly and get on to the best bits here is a quick guide to staying safe in the field. The first and most important thing to do when you are going out on ANY geo-related trip is; if at all possible don’t go by yourself. At the very least make sure you have some way of contacting someone if you MUST go by yourself. On a similar theme, tell someone where you are going and when you expect to be back. I know it seems elementary, but having someone say ‘Hey wasn’t Joe supposed to be back with that Ichthyosaur head by now?’ when you are stranded on a beach with the tide coming in is a very useful thing indeed. Again this sounds silly, but you would be surprised by how many people go on fieldtrips badly dressed – even university geology students. High heels are a no. As are any clothes that are difficult to walk in, restrictive or delicate (fancy floaty shirts and mud are never going to be great friends). I also want to make a point here about jeans. Jeans are terrible fieldwork trousers – not only do they get wet easily (and when they are wet they stay wet and get really HEAVY), but they also shrink when they get wet too. Not great for the end of the day – even less great if you have an accident. Cotton based trousers are best and if you’re cold – layer! 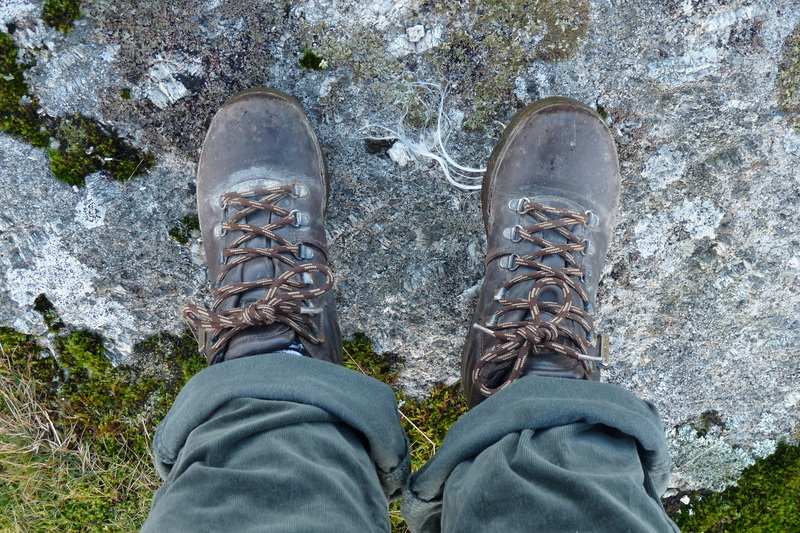 Ah my lovely walking boots – make sure they are done up tight around your ankle – it may feel uncomfortable at first, but it will save you lots of hurt later! The best shoes are walking boots that support your ankle – it’s amazing how you don’t ever twist your ankle in a pair of well done up walking boots! – but you can judge what is appropriate by where you are going. If you are out in Britain – take a raincoat!! Come on, we may want to imagine we live in the south of France, but there is a very strong chance it will rain most of the time you want to go out (ditto for waterproof trousers). Though sunscreen and a hat in summer are also a good idea. 3. Stay away from the cliff face. If you are searching on a beach this can be very tempting, but unless you have a hard hat cliffs are a very bad idea. In 2012 alone the number of landslides along the south coast have been huge (and in at least one instance, fatal) and if you haven’t ever seen a rock fall or landslide – they can move fast! Faster than you would notice them and run away – so unless you are with a professional, stay away from the cliff. If you don’t believe me, look at this video from WDEF News and see what I mean. 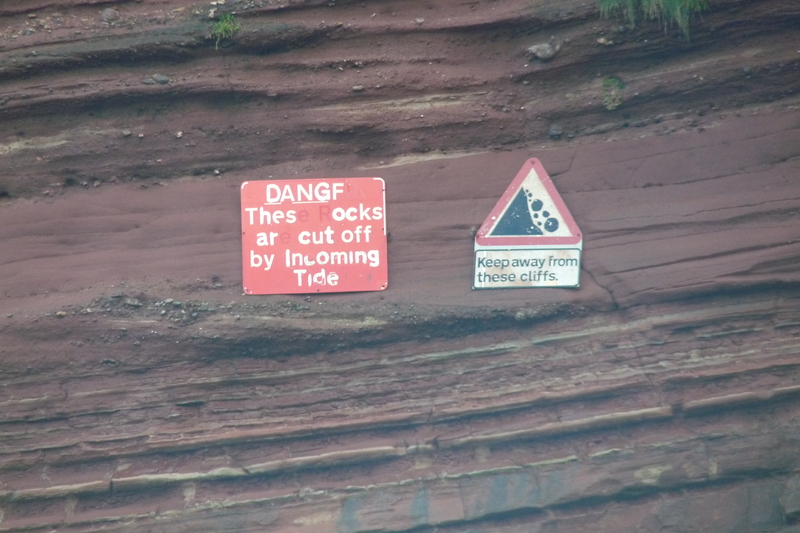 Safety signs point out dangerous cliff faces (also look out for cliffs covered by plants). If in doubt wear a hard hat. 4. Only go where you are allowed. 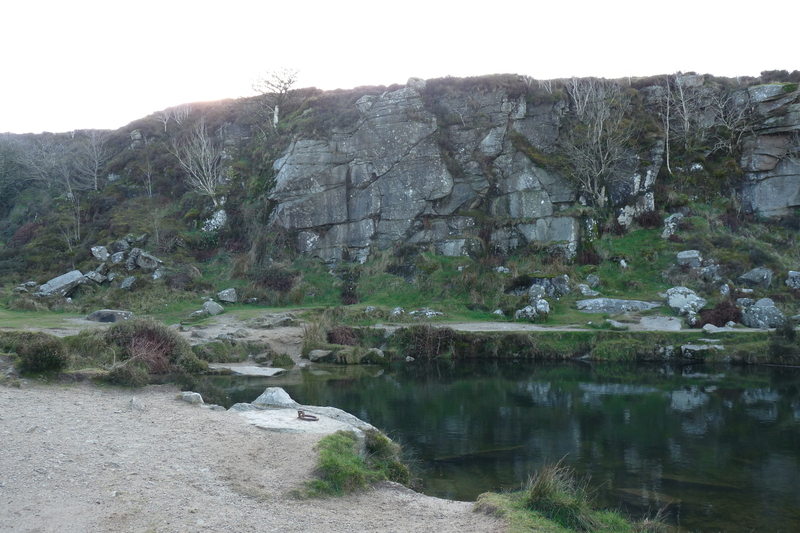 This kinda leads on from the last one really – an old quarry can be a brilliant place to find great rocks and minerals – but only if you are allowed to go in. 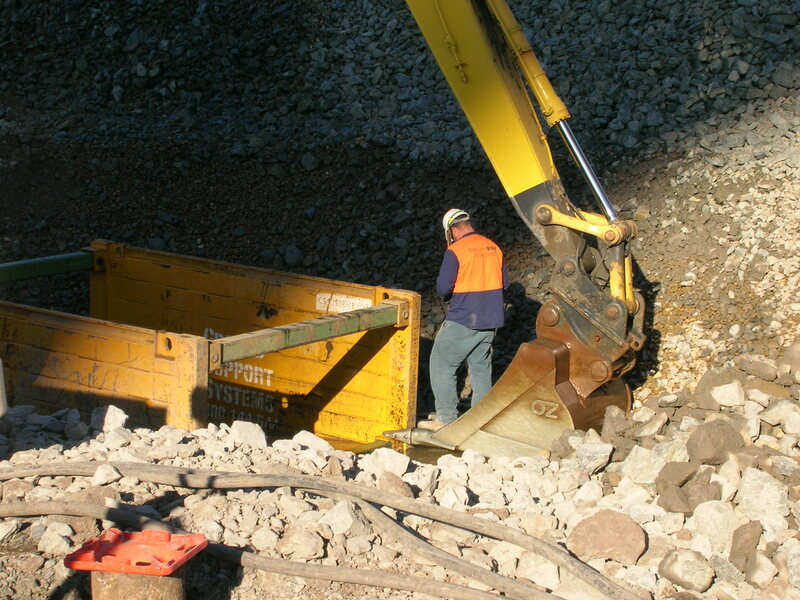 Some quarries are public access and considered mostly safe, some allow visitors if they are with a professional, but always check. If there is barbed wire, angry looking signs in red or yellow, or dogs – stay clear! This also applies to private property – check you are allowed to collect before going rummaging around on someone’s farm or garden. 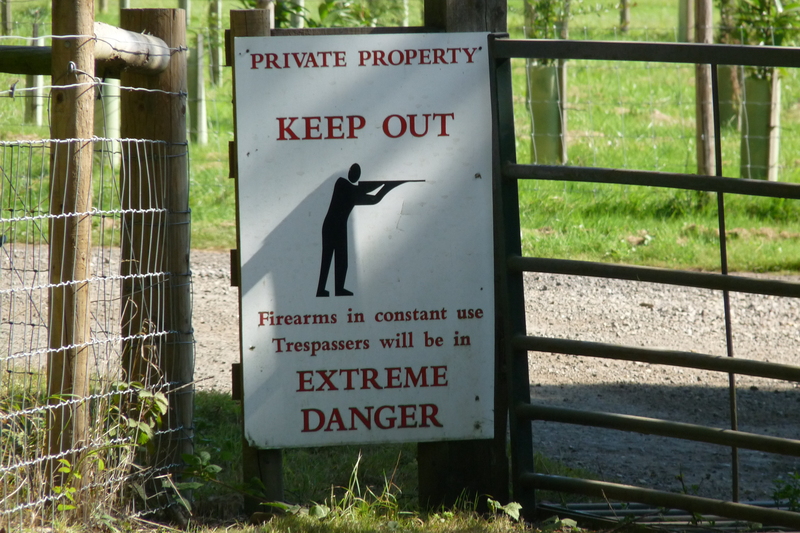 ….. less nice private land. I may have joked about it earlier, but bad weather can really ruin your day – and even put you in danger. We aren’t always going to have lovely balmy days when we go collecting, but equally going fossil hunting in a force 10 gale, when it is snowing, and there is hail the size of your fist, isn’t a brilliant plan. Settle back into your sofa, dig out your favourite fossil book and go tomorrow. The good thing about geology? It’ll still be there the next day! 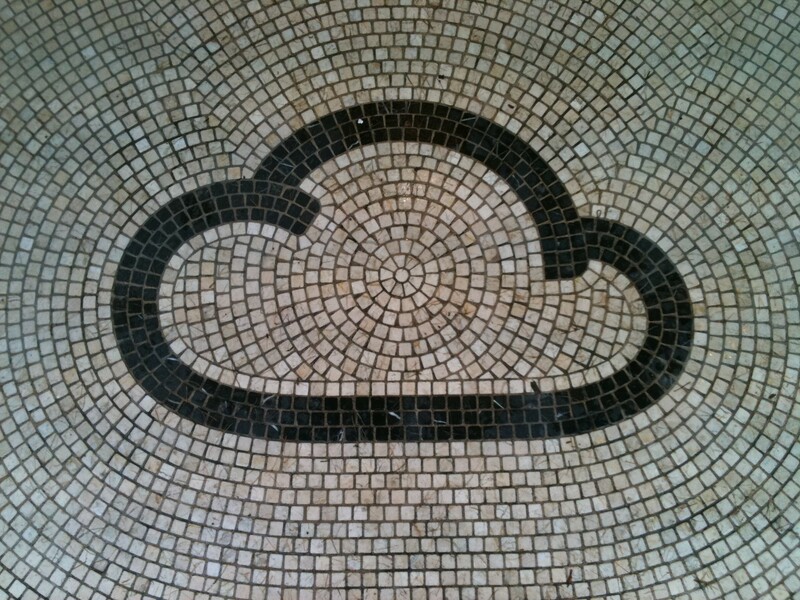 Who knew even clouds could be geological?! Of course there are lots of other things you can do to keep yourself out of danger – and I suggest you do them, but for me, these five are the most important. So remember stay safe and if you don’t feel comfortable don’t do it – even people that should know better sometimes do stupid things! Yeah that isn’t such a great idea. 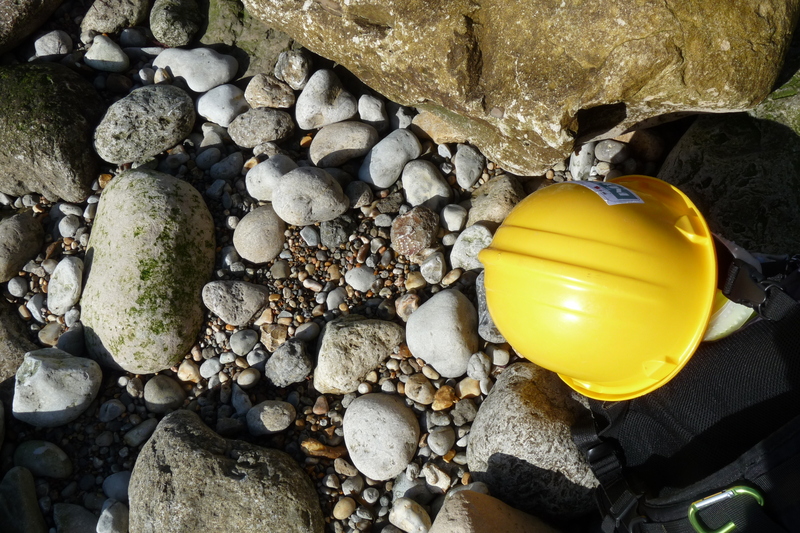 If in doubt follow The Geologist’s Association Fieldwork Code (part 1 and part 2) – it also includes treating places with respect which I’ll go over in another blog, but it is very handy (and detailed!). Pingback: Where do you find an ammonite’s armour? 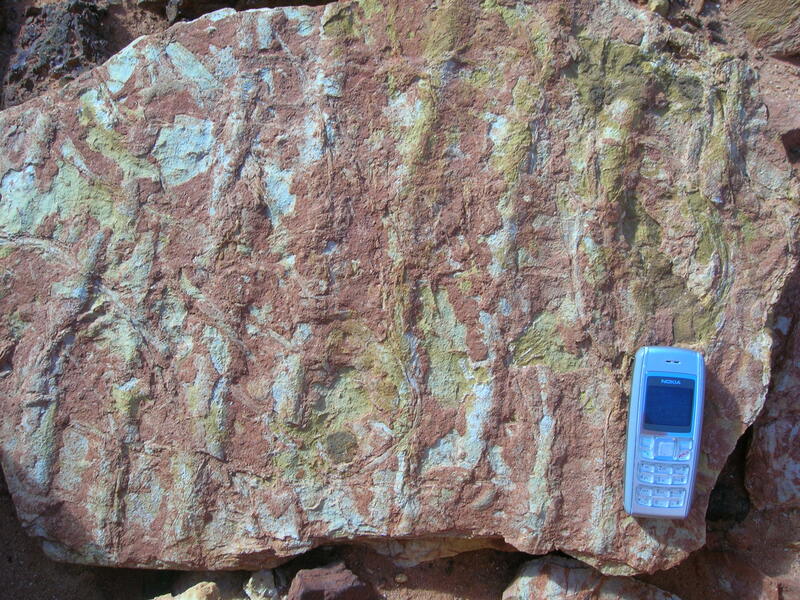 (or using a geological map) « We Like Rocks!